Jamie Lee Curtis is probably one of the most iconic actresses of the 80’s who is still very much in the public eye today. Born in 1958 to actor parents Tony Curtis and Janet Leigh, you could say that her upbringing in Santa Monica California, not to mention her heritage, made her perfect for a career in film. She started her career in 1978 by starring in Halloween which was a big hit and firmly established her place in Hollywood. Since then, she has worked across various different genres, starring in Trading Places, A Fish Called Wanda, and the 2003 remake of Freaky Friday. At fifty-eight years old, she is also one of those enviable women whose tastes and style has transcended the decades to keep her looking as great as she did when she exploded into Hollywood in 1978. Her eyewear style is wonderfully eclectic and has been as much of a statement piece in her outfits as they have been for practical use. Lets look at some of the different eyewear styles Jamie has worn, and find out how you can recreate her style from the SelectSpecs collection available online. I'm breaking my own rule about random self exploitation but since so many are being broken in Washington I felt like I should join that club. Got home from my fantastic work experience on #ThePages, immediately got a summer shorning from @seanjameshair and look what was waiting for me. My own custom, first prototype @fliepaper T-shirt. Stay tuned. Coming to a home store or drive-in near you. The movie soon too. A creative time in this troubling time. Art makes change! 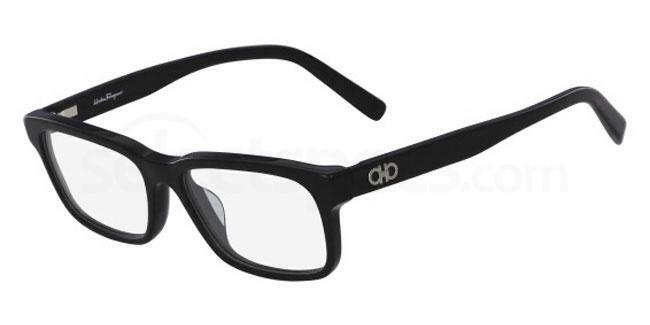 These beautiful, dark-rimmed, over-sized glasses are the perfect eyewear selection for this look. Their dark, navy colour pairs perfectly with the navy two-piece suit she is wearing. The contrast of the light coloured t-shirt and her light hair colour break up the darker aspect of the outfit, creating a wonderfully balanced and effortlessly elegant look. SelectSpecs has many options for dark-rimmed, over-sized glasses, but I think the Bobbi Brown THE WILSON glasses are a very similar pair to those worn by Curtis in the above picture. They are a lovely dark blue colour and feature understated gold elements that add a touch of something different. 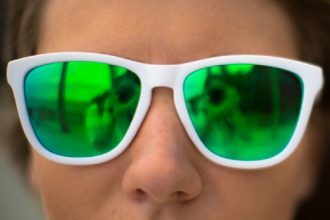 At just over £100 these glasses are a luxury eyewear piece but with free lenses, make an excellent selection. When it comes to eyewear looks in general, Curtis tends to go for darker frames, presumably to help contrast with her hair colour – a choice which works splendidly in my humble opinion. When it comes to sunglasses, the darker the better for Curtis, and she often chooses an oversized pair, again making a statement with her eyewear. 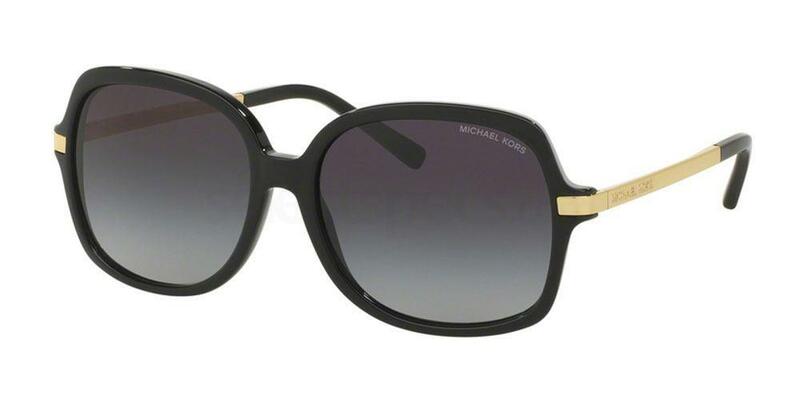 Whilst SelectSpecs has a number of different oversized, dark sunglasses options available for you, I have chosen the Michael Kors 0MK2024 Adrianna II. These are particularly lovely, but also feature the black/grey gradient in the lenses which is similar to the ones that Curtis is wearing in the above picture. The Michael Kors glasses also feature gold sidearms which help to break up the bold black frames, keeping them from dominating your face. Jamie Lee Curtis is the ultimate girl boss and proudly shares photographs of herself at different rallies and demonstrations for what she believes in. This image above is in the iconic half formal, half casual look which she also styled in the first image in this post, although in this image she has gone for a significantly bolder eyewear look. 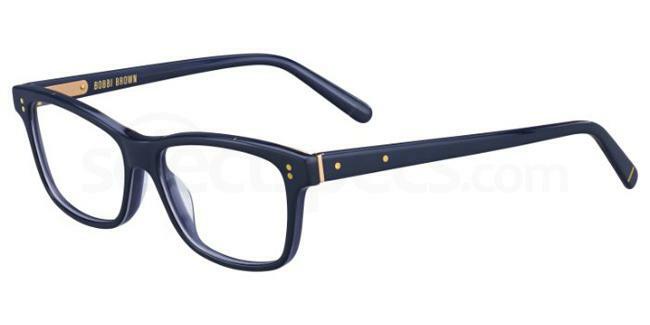 The Salvatore Ferragamo SF2781 glasses are some of the boldest frames available on the SelectSpecs website which is similar to the ones Curtis is wearing in the above image. 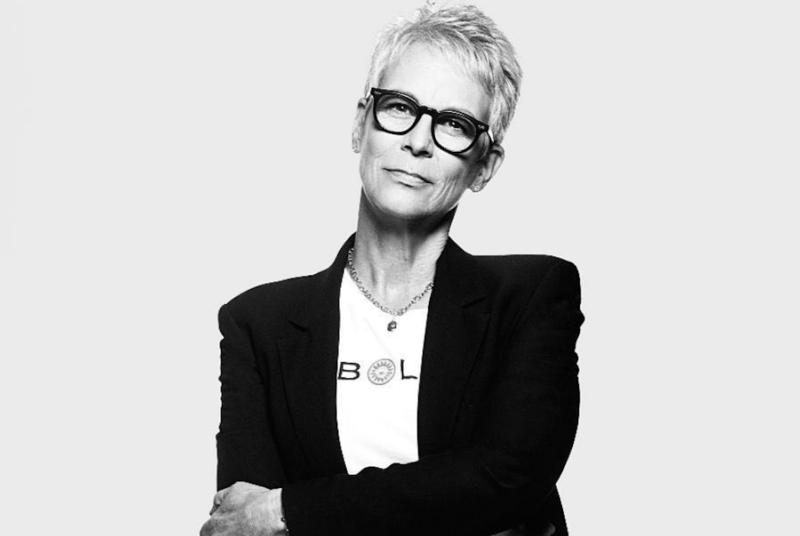 Jamie Lee Curtis has a bold, signature look and if you are looking for a new, strong, girl boss style for this season, then Curtis could be your new muse. Check out the rest of the range on Select Specs for a range of designer and affordable options. Alternatively, if you want to channel the British girl boss look, why not find out how you can steal Alexa Chung’s style.